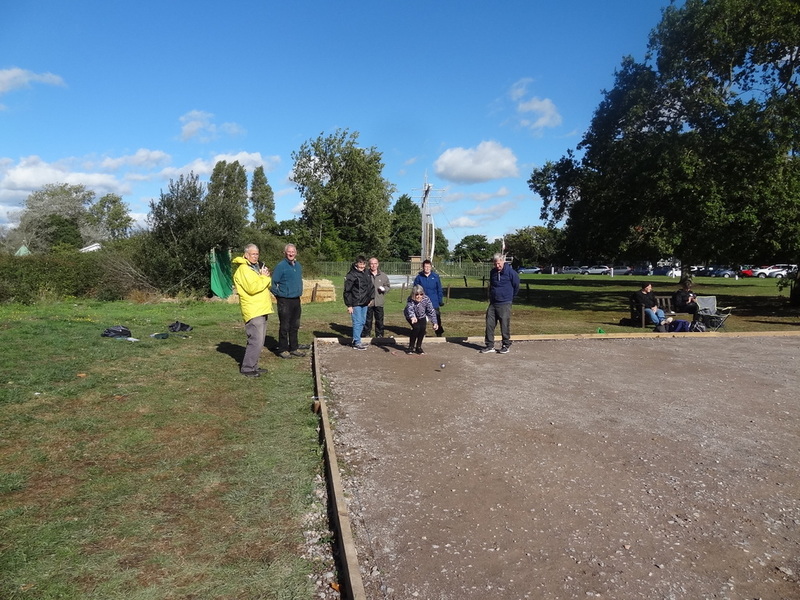 As last year, the pétanque group was again invited to join in a weekend in Hayling Island involving U3A pétanque groups nationwide. In all 48 teams competed from around the country, although not too many from north of Watford and even fewer north of the Midlands! 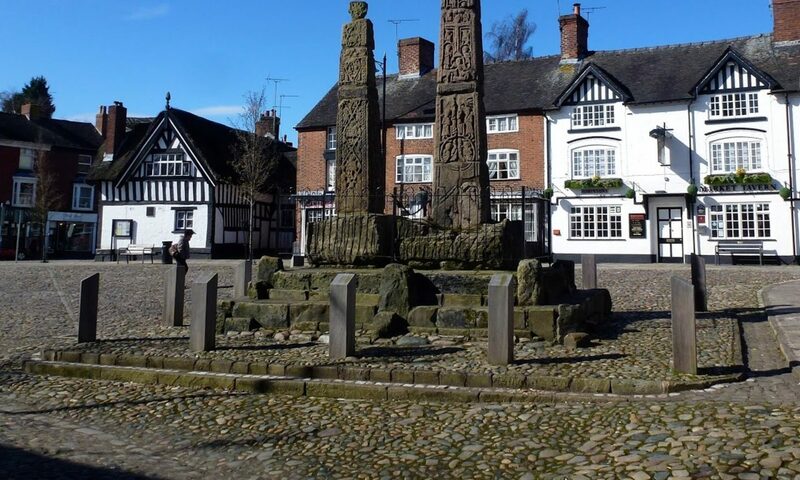 Eight people went from Sandbach comprising two teams of four – Sandbach Saxons and Sandbach Crosses. Each game was played by three members of the team. 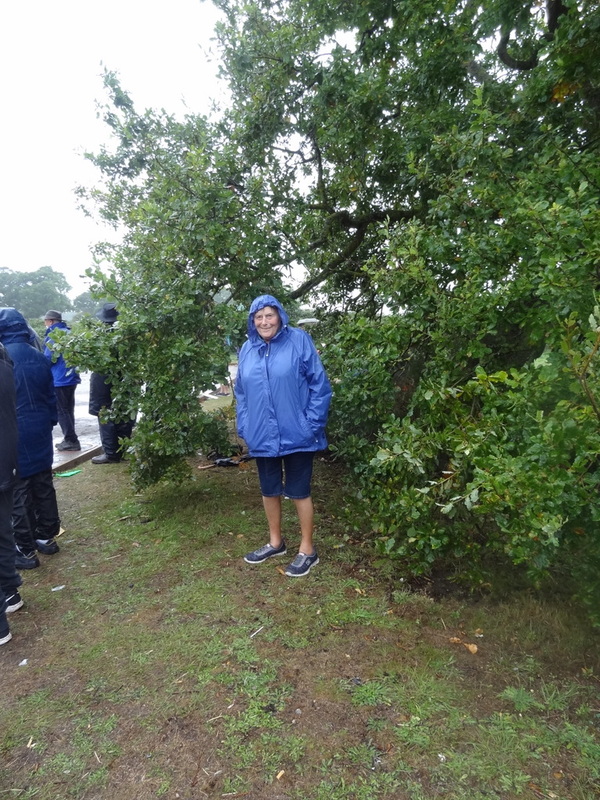 The weather dawned WET on the Saturday morning, and steadily got WETTER all day! We all assembled for the league games at 09:00. Each team was to play 5 games in Saturday’s league. Sandbach Saxons played their first game against Southampton Slingers. It was a close game but Southampton won 13-12. 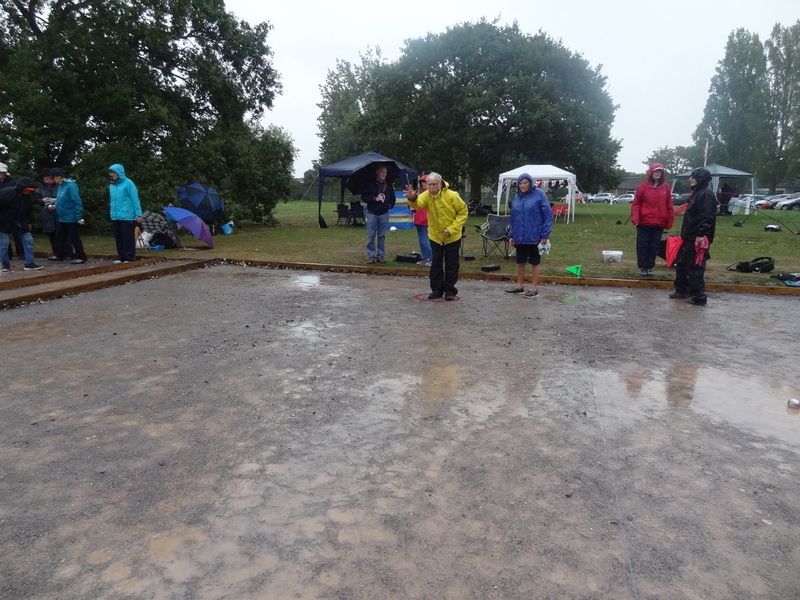 Their next game was against Ashingdon Rochford who won 13 – 5. Their next opponents were Richmond Rowdies. Sandbach Saxons won 13 – 9. And Sandbach Saxons final match on Saturday was against Kings Hill Aircrew. Sandbach Saxons won again – 13-5. Meanwhile, Sandbach Crosses were having mixed fortunes in their Saturday games. Their first game was against Hertford Hopefuls 1. They were a friendly team and it was a pleasant game but Sandbach Crosses lost 13-7. 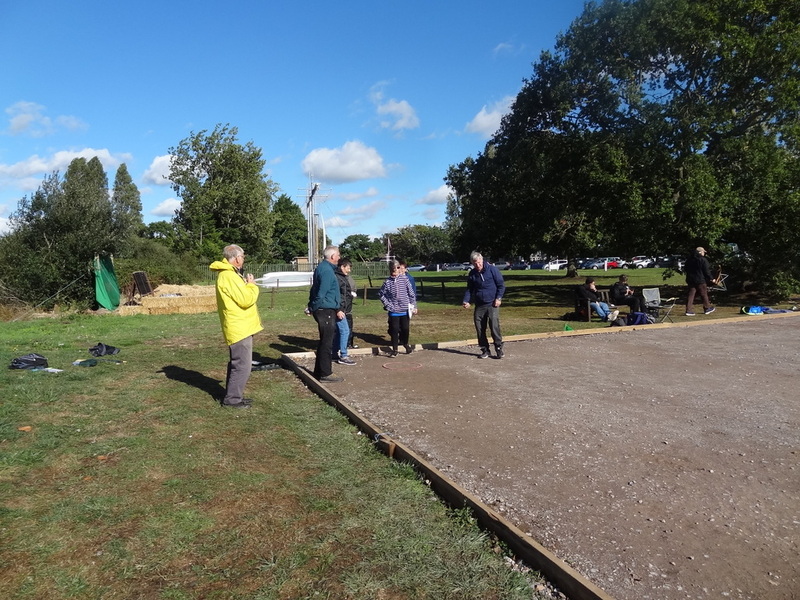 Their next opponents were Malmesbury Adhelm, a team who take the placing of every boule and the measuring of every point very very seriously. It paid off and they won 13-1. The third game was against Burton Joyce Poplars. It was a good game and quite close but Sandbach Crosses managed to pull it off, winning 13-11. Saturday’s final game was against Islington JKL. 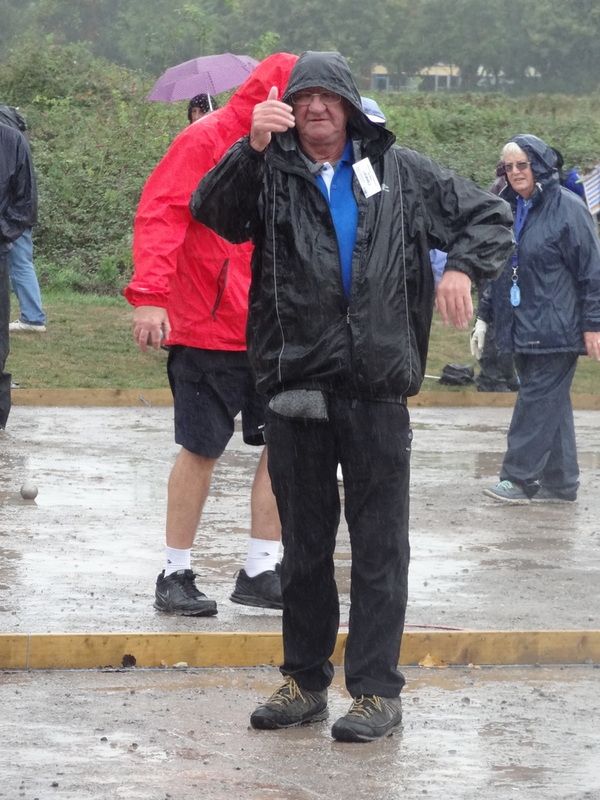 By this time it was still pouring down and the pitches were completely waterlogged. 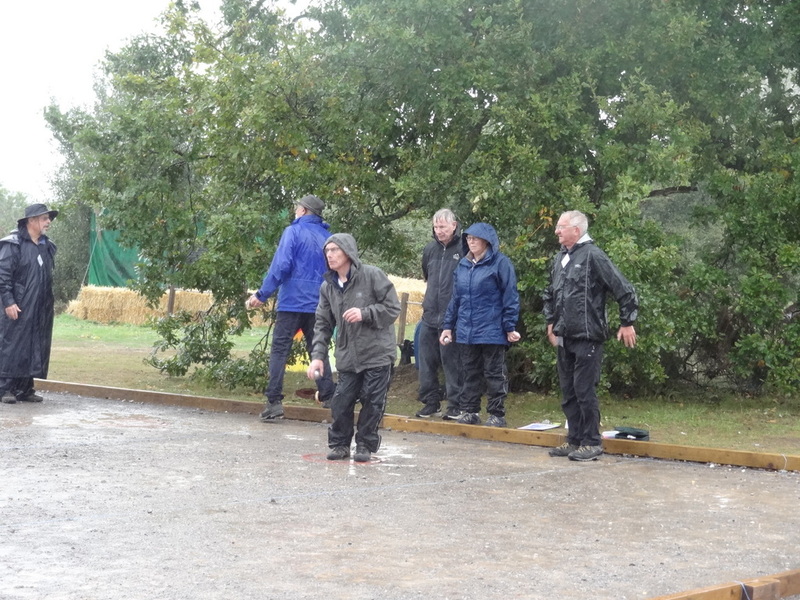 Boules were hitting a brake as soon as they found the puddles! We were all very cold and wet, but it didn’t stop one of the ladies from Islington wanting to measure every single shot (very determined and dedicated). However, in her case it didn’t pay off and Sandbach Crosses won 13-5. 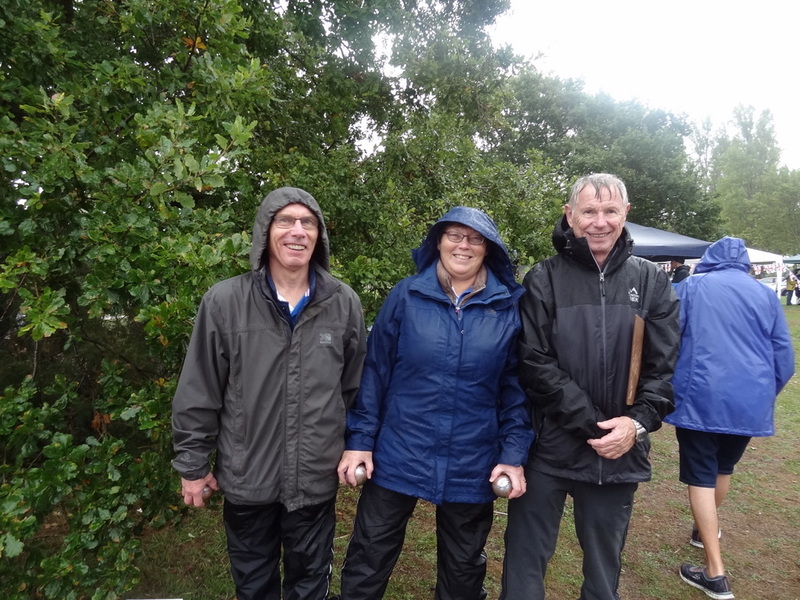 At the end of Saturdays play we all retired cold and wet but both teams having won 3 games out of 5 – not a bad result! Sunday morning dawned wet and cold again. After a lot of confusion the message finally filtered down that there was to be no play on Sunday morning. The pitches were far too wet. 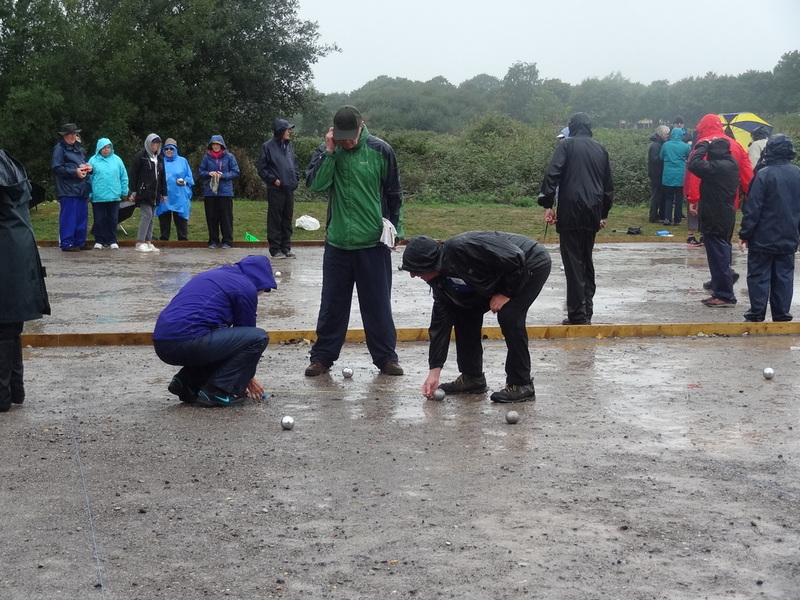 By Sunday afternoon it had stopped raining and it was decided to go straight into the knockout competitions. Both teams had reached the Silver section! But our celebration was not to last long as both teams were knocked out in their first games losing 13-9. By now it had completely stopped raining and the sun was shining, so we found an unused pitch and had a couple of friendly games between ourselves in the sunshine. And the ladies won against the gentlemen!